FILE//President Obama boards his bus last October during his last bus tour. 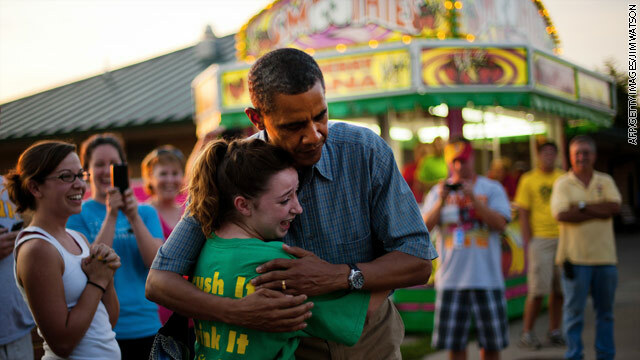 He leaves on Thursday for a two-day campaign bus tour through Ohio and Pennsylvania. (CNN) –– President Obama kicks off his two-day "Betting on America" campaign bus tour on Thursday heading to Toledo, Ohio. 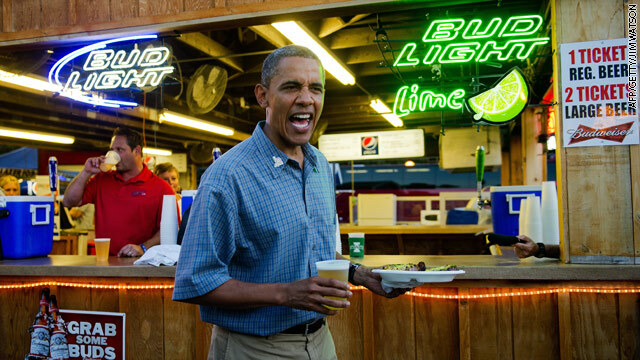 He'll spend the day in the battleground state campaigning on his commitment to economic growth and job creation. He'll make three stops on Thursday in small towns in Ohio: Maumee, Sandusky, and Parma where he will speak with voters about his accomplishments in his three years in office, including the bailout of the auto industry. He'll continue to hammer his Republican opponent Mitt Romney on his economic record and criticize him for outsourcing jobs. 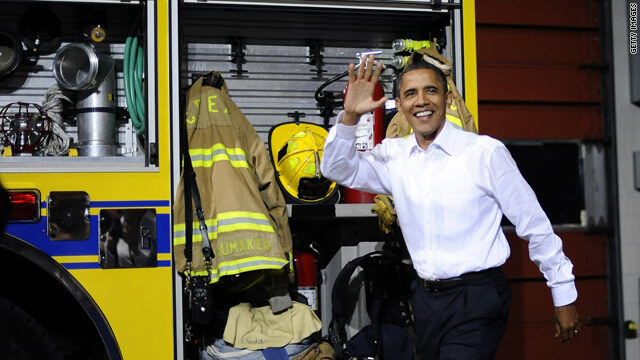 President Obama ended his bus tour at Fire Station #9 in North Chesterfield, Virginia where he talked about his keeping firefighters on the job. "So the first vote we're going to ask Congress to take this week would put hundreds of thousands of firefighters back on the job, police officers back on the street, teachers back in the classroom. Now, Chesterfield has been lucky. It isn't facing layoffs right now. But a lot of these guys have seen their pay frozen. You've got cities and states like Michigan and New Jersey that have had to lay off big chunks of their forces. That means that firefighters can't always get to fires before they become major fires. And that makes their job more dangerous. It means police officers can't respond to every crime. And when giving our children the best education possible we know is the ingredient for success in this new information and technology-rich economy, how can we be laying off teachers - when other countries are hiring teachers in droves? It's unfair to our kids. It undermines our future. So this week Congress is going to get to vote on whether or not hundreds of thousands of police officers and teachers and firefighters get back on the job. And I don't know if these members of Congress - maybe they haven't met some of these firefighters. I don't think they want to tell them that their jobs aren’t worth saving. Some of these guys are pretty big. Captain Kemp is an ex-Marine - which means he's still a Marine. And these guys are risking their lives every day on our behalf. These jobs are worth fighting for. Folks in Congress are also going to get a chance to decide - later in the month - whether our construction workers should sit around doing nothing while China builds the best railroads, the best schools, the best airports in the world." 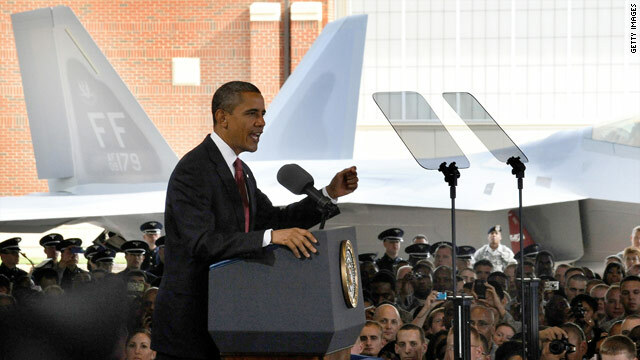 President Obama delivered remarks at Joint Base Langley-Eustis in Hampton, VA calling on Congress to pass key provisions of the American Jobs Act that support veterans, particularly the Returning Heroes Tax Credit. The First Lady joined him at the event to announce a major Joining Forces private sector commitment from the American Logistics Association to hire 25,000 veterans and military spouses. 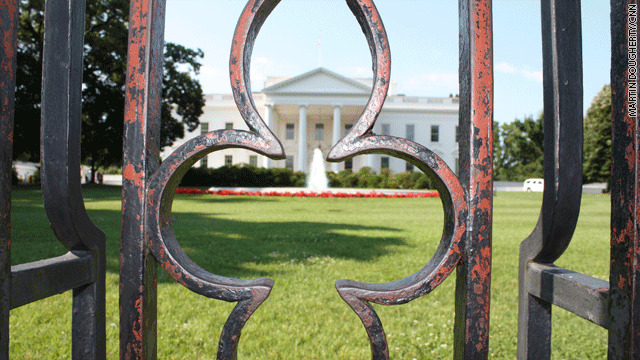 This commitment will fulfill a quarter of the President’s challenge to the private sector to hire or train 100,000 veterans and military spouses by the end of 2013. 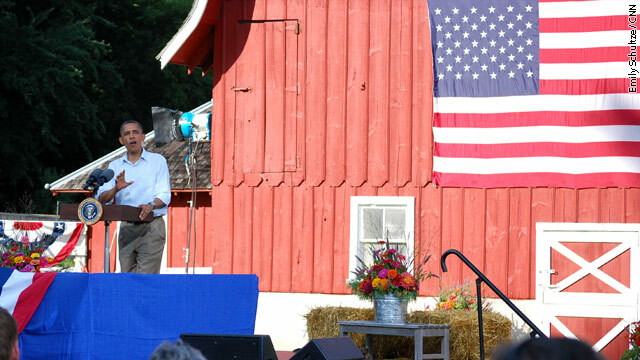 President Obama speaks on a cell phone handed to him from a woman who greeted him on a stop in Reidsville, NC Tuesday. Wireless phone companies may have a new spokesman, at least when he’s not busy with his day job. 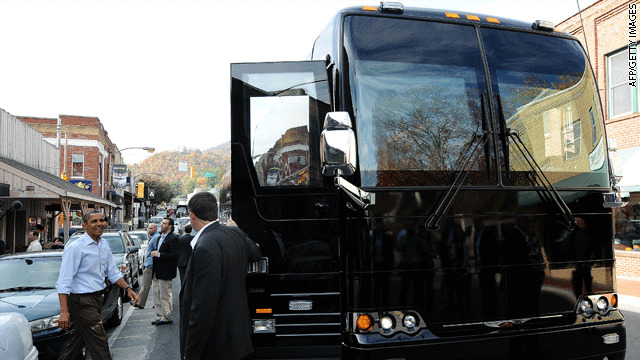 President Obama, continuing his bus trip Tuesday through North Carolina knows outdated technology when he sees it. 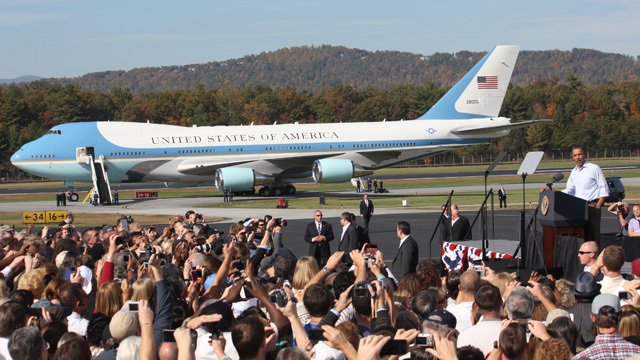 The president greeted well wishers in at an unscheduled stop in Reidsville, NC. 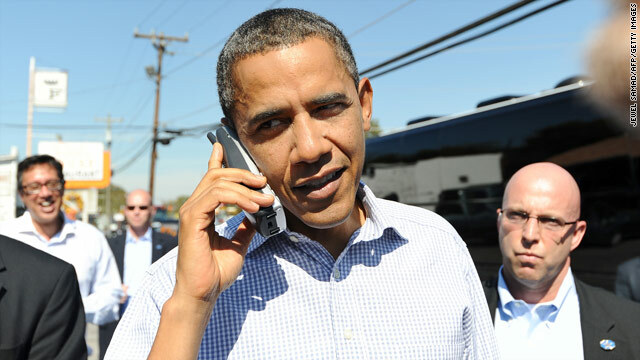 Spotting a young woman in the crowd on her cell phone, the president admonished, “You need a new phone!” According to pool reports the woman handed her “clunky, cordless” phone to Mr. Obama asking him to speak to her grandmother. The president affably asked, "How you been doing?" But then also put in a plug for better technology saying, "Your granddaughter needs a new cell phone."